Chrysalis is an end-to-end solutions and services provider that can oversee your traditional and digital production needs to ensure your products can get to market on time and on budget. With years of industry experience we become an extension of your editorial and or production departments offering highly skilled employees that can help at any stage of your workflow. We are well equipped to work on projects ranging from simple to very complex that cover a wide range of subject matters. Chrysalis Data Solutions and Services Inc. (CDSS) provide high-quality data extraction and indexing to support contract management. 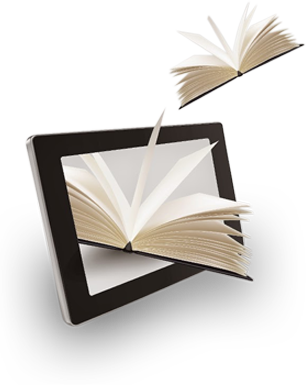 There is no longer a question about the reality of digital books in the marketplace - they are here to stay! The question is - what are you doing to ensure you reach your users on every possible device available in the market today? 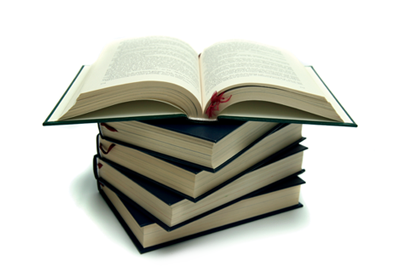 We at Chrysalis understand what it takes to get a printed copy of a book into the market. Months and years of careful planning could come to naught, with a simple typographical error. We therefore put ourselves in our clients’ shoes when initiating any project, which helps us transfer the benefits of cost, time and quality to them. Businesses of today’s globalized market are witnessing an exponential growth in the volume of data to be processed. With shorter decision cycles, reduced time to market, and stiff competition, companies are looking for ways to make efficient data-driven decisions. Knowledge Process Outsourcing (KPO) suitably allows clients to unlock their jammed top-line growth by outsourcing their core work to strategic locations where the talent is skilled and labor costs- effective. Organizations are partnering with specialized research and analytics vendors who build successful business strategies with data driven insights to analyze the present business environment while predicting market trends. Like most businesses, you facetime and resource constraints that make it difficult to focus on core responsibilities. The exponential increase in the volume of litigation has created an immediate need for document management, coding, research and other legal tasks. Chrysalis Data Solutions and Services Inc. (CDSS ) can help by providing an extensive line up of high quality and cost-effective litigation support services. We are dedicated to improving cost- efficiency and ease of solution throughout the Electronic Data Development, Discovery, and Management Process. Content is consumed in a multitude of ways and via multiple devices, and Chrysalis helps in bringing the ever-growing volume of content to the consumers by making them compatible with all device types. We can take your existing content in print and digital formats and transform them into rich interactive digital versions (audio/video/read-a-loud) to meet your needs and the needs of your customers. We develop custom apps that can be used on mobile devices and tablets alike in conjunction with books to enhance the overall user experience. Examples include white label storefronts for books, field guides, etc. From hardcopy to ready to print PDF, web ready PDF and other digital formats. Convert static content into rich media interactive content by using current tools in the industry. Develop animation for a variety of subjects and customize presentation according to the target audience and subject at hand. We become an extension of your editorial and or production departments offering highly skilled employees that can help at any stage of the workflow with a strong emphasis on process review and improvement. Our engagements staff are located in strategic geographic locations across the globe to ensure we can work closely with your teams no matter where they might be. 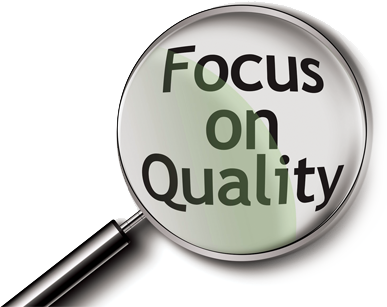 We provide a high value product focusing on higher quality to meet and/or exceed our client’s expectations for delivery and cost-effectiveness. We understand what it takes to get both printed and digital books into the marketplace and the challenges you face as publishers. The market is ever changing and the demands of your readers are changing at even a faster pace. You need to be responsive to those needs while ensuring your content is delivered at the highest of standards in all mediums. At Chrysalis, we are fully equipped to help to get your content into the market accurately, on time, and cost effectively. Production services offered by Chrysalis include - design, development, composition and digital conversion. Chrysalis also offers to work with the client by providing services to manage content at various stages of production. Tap into a pool of talented individuals with skills and high level of domain expertise. Complete solution to producing a book available under one roof. Strategic geographical locations to harness time and economy of scale advantage. Take advantage of low costs while getting the highest value. We work closely with the company or its consultant / vendor to understand, define, and document the data capture requirements. Once a project is in production, CDSS regularly uploads data and provides progress reports. Almost all companies need a few essential items such as execution date, expiration or renewal date, customer, dollar value, and contract type. Others require additional fields such as Scanning, if necessary. Turnaround times are quick, often a few days. CDSS offers a wide variety of Forms Processing and Data Entry services that are on par with the current industry standards in terms of quality, productivity and timeliness. Non-Disclosure Agreement signed by all employees as part of the employment agreement, and for individual special projects as requested by the client. 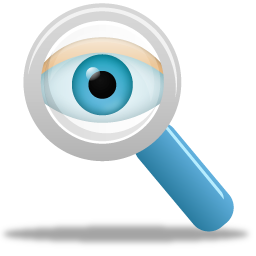 Comprehensive employee verification process including reference checks. All full-time employees with a minimum 3 year professional degree. Fully Insured and compliant with all statutory and legal requirements including Provident Fund (equivalent of 401K), Professional Tax, Employer State Insurance (Health Insurance), etc. Dedicated primary leased lines in addition to additional backup lines. CDSS offers comprehensive services to convert virtually any type of source material into any specified data structure. Following are the suite of services we provide to enrich our clientele’s data. 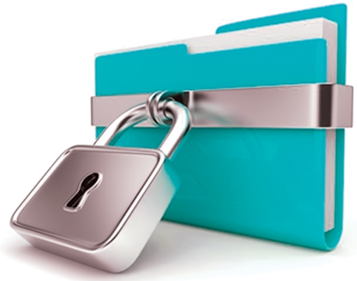 Safeguarding client data and maintaining confidentiality is of utmost importance. Our systems and processes ensure that the intellectual assets of our clients are managed in a secure environment. We follow stringent security processes for storage, retrieval and deletion of client data and ensure our staff is properly screened and that every employee takes security and confidentiality seriously. The first phase requires a coder to enter specific data from each document per the client's instructions. The coders are provided with detailed written instructions on what information is required to be captured, and the manner in which to capture the information for each specific project. the quality controller will return the document set to the coder for immediate correction. After the coder corrects the document set it goes back to the same quality controller for secondary review of the same document set. The data is subjected to an exhaustive review by our highly experienced QA team. Data analysts review records for accuracy, consistency, and format. Data analysts also run a series of queries for data validation, Names standardization, Data Normalization, Spell check, Title Consistency and prepare the data set for final client delivery. Speed: We offer 24 hours and 72 hours turn around. Businesses of today’s globalized market are witnessing an exponential growth in the volume of data to be processed. With shorter decision cycles, reduced time to market, and stiff competition, companies are looking for ways to make efficient data-driven decisions. 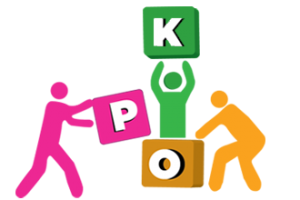 Knowledge Process Outsourcing (KPO) suitably allows clients to unlock their jammed top-line growth by outsourcing their core work to strategic locations where the talent is skilled and labor costs-effective. Organizations are partnering with specialized research and analytics vendors who build successful business strategies with data-driven insights to analyze the present business environment while predicting market trends. Chrysalis Data Solutions and Services provides cost-effective and value-added Knowledge Process Outsourcing (KPO) services that help clients streamline their processes and enable superior decision making to improve their top and bottom lines. By providing insight-based business decision support, CDSS helps companies develop a better understanding of their customers and their businesses. Accurate Reporting across various industries to achieve operational excellence and performance efficiency. Low Cost – High value advantage. Providing accurate data insights and research services to answer clients most pressing business questions and support decisions. Chrysalis Data Solutions and Services (CDSS) is a channel provider of legal process outsourcing services to international, national and local litigation and document management providers. Our partners choose CDSS as an effective and efficient resource to their team. Allow us to become a dedicated scalable extension of your team to assist you in managing large volumes of data. It is extremely difficult and expensive to meet the demands on every project from complex, large to rush. CDSS supports our clients (support providers) helping which internal capacity is pushed to the limits. Our value is a trusted partner to allow our customer scale when necessary. We do not work directly with or market our services directly to law firms or corporations, our customers are the support providers. We are a channel provider and work directly with the support providers. Our goal is to become a valuable member and extinction of each our partner’s operations team. We are fully transparent, offering full disclosure, willing to sign confidentially, SLA and SMA. All data is hosted in AWS in the USA, in addition we offer remote login access to our network with workshare from AWS, when the information cannot leave US soil. Decrease processing time, reduce the human capital requirements, and lower your overall costs. Full automated digital discovery (ADD™) capabilities, Document Coding and Indexing, Electronic Bates Labeling, Optical Character Recognition (OCR), Focused on channel support, scalability and trust for our partners. Our Litigation Support Division offers fault-proof, technology-oriented solutions deployed in tandem with a scalable, skilled, and highly knowledgeable human-resource pool trained in legal applications. We offer guaranteed cost-effective and time-efficient workflow solutions using a combination of automated and manual applications. This result in legal data that is readily accessible searched, sorted, located, distributed, and viewed specifically - or as a whole - in any context. With a unique tiered infrastructure, CDSS have the ability to deliver on small, quick-turn projects and large, complex matters alike. 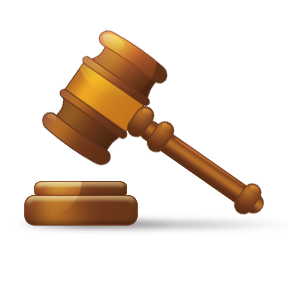 We leverage our legal process experience to deliver consistent, high quality litigation support services. Our teams’ knowledge and expertise ensure the services delivered for each client are tailored to their unique needs. We can handle hand-written documents which are not recognized by optical character recognition engines with ease as well as legal document management in 14 different foreign languages. CDSS offers comprehensive services to convert virtually any type of source material into any specified data structure. 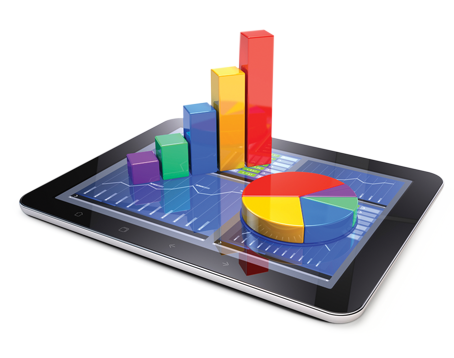 Following are the suite of services we provide to enrich our client ele’s data. • Data processing and management • Data search and integration • Data mining and reporting • Database development Our Litigation Support Division offers fault-proof, technology-oriented solutions deployed in tandem with a scalable, skilled, and highly knowledgeable human-resource pool trained in legal applications. With a unique tiered infrastructure, CDSS have the ability to deliver on small, quick-turn projects and large, complex matters alike. We leverage our legal process experience to deliver consistent, high quality litigation support services. Our teams’ knowledge and expertise ensure the services delivered for each client are tailored to their unique needs. We understand the clients work with existing platforms and certain systems. We at Chrysalis accept the challenges in adopting these systems and work with the client within these environments. We could however bring in new technologies and platforms, if the client so desires. © 2016 Chrysalis Data Services & Solutions. All Rights Reserved.